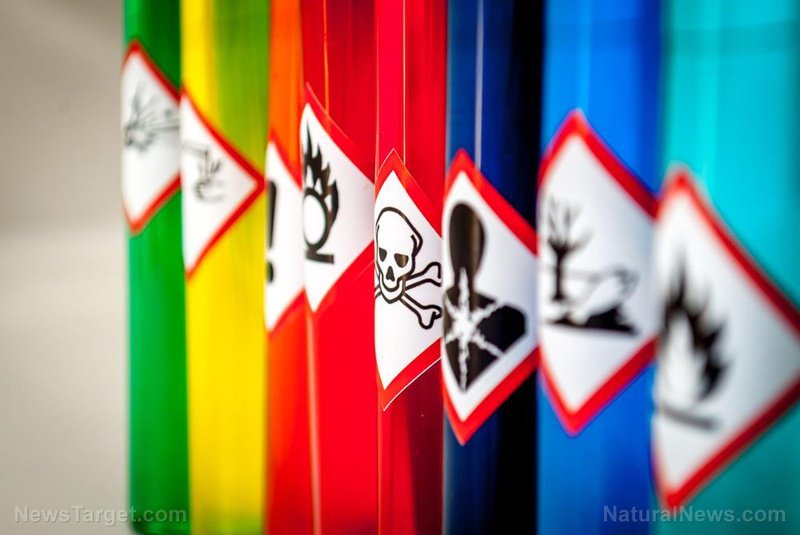 (Natural News) Despite assurances of safety from both industry leaders and government entities, a staggering number of products contain hazardous chemicals that are toxic to humans. Whether it’s BPA-ridden canned goods, toxic personal care products, or harmful cleaning chemicals, there is no shortage of toxins in the average home. And worst of all, most of these toxins go unnoticed; we casually invite these hazards into our homes, never taking notice of the harm they cause. Toxins can even be hiding in your furniture, children’s toys and the pans you cook your food with. Whether in the form of building materials or consumer products, we are basically surrounded. Fortunately, you can still take steps to eliminate the presence of toxins in your home and reduce exposure. Children’s environmental health expert Dr. Leonardo Trasande, also a professor at NYU, tells Business Insider that there are a few types of chemicals commonly found in homes to be concerned about. “There is increasing and accelerating evidence that synthetic chemicals commonly found in the home contribute to disease and disability,” Trasande says. Children are the most susceptible; in addition to the fact that they are still developing, children weigh less — which can make exposure to even small amounts more significant. According to Trasande, there are four classes of chemicals to be mindful of. Topping the list, of course, is pesticides. These can be found in an array of fruits, veggies and even grains. The Environmental Working Group (EWG) famously found traces of glyphosate — the active ingredient in Monsanto’s Roundup — in a host of breakfast cereals and other goods. Glyphosate is the most commonly used pesticide in the U.S.
A number of pesticides have been linked to health issues. Glyphosate itself has been labeled a “probable carcinogen” by the World Health Organization’s International Agency for Research on Cancer. Atrazine, the second-most common pesticide, has been linked to birth defects and other adverse health effects. Atrazine contaminates drinking water for an estimated 30 million Americans. Recent research has also linked the entire class of organophosphate pesticides to IQ deficits in children. Trasande recommends that parents avoid using pesticides in their yards, and suggests going organic when possible. BPA is a toxic chemical used in plastics. It is found in water bottles, food packaging and containers, and is even found in the plastics used to line canned goods. BPA is an endocrine disruptor that’s associated with a bevy of health issues. Scientists have linked BPA to obesity, coronary artery disease, and reproductive problems. The safety of BPA is widely contested by the scientific community, but BPA-free plastics may not be much better. Better options include glass, ceramic, stainless steel and other natural materials. Scaling back on canned food consumption, and avoiding microwaving plastic are other tips. Pthalates are a type of plasticizer that are associated with a number of reproductive health issues, including infertility in men and endometriosis in women. The chemicals have also been linked to obesity, diabetes, ADHD and cancer. As EWG notes, pthalates are known endocrine disruptors. Though pthalates were banned from use in children’s toys by Congress in 2008, they remain a commonly used chemical and continue to pollute the environment and our bodies. Because of how prevalent they are, pthalates are hard to avoid. Looking for “pthalate-free” products is a good start. Products packed in “recycling-code-3” plastic or ingredient lists that contain the word “fragrance” can be indicators that pthalates are present, also. Flame retardants are added to a variety of products to make them less flammable; furniture, electronics, building materials and even carpets can be laced with these toxins. Flame retardants can linger in soil, air, and water — and are also found in household dust. These chemicals have been linked to cancer, IQ deficits and a number of other adverse effects. Trasande suggests that parents look out for children’s toys and mattresses that contain polyurethane foam. Regular dusting and mopping can help reduce exposure to flame retardants in dust, also. You can learn more about toxins and how to avoid them at Toxins.news. Previous :Shocking revelations from the Facebook whistleblower reveal that Mark Zuckerberg LIED to Congress… why isn’t he being “Roger Stoned” with armed federal agents?